The first time that I walked into a Pilates studio I was in awe. My Pilates instructor showed me around, introduced me to the equipment and started the session. Even before I had my first real Pilates lesson I knew that I wanted to become a Pilates instructor. But experiencing the magic of a private Pilates session really lit the fire inside of me that has been burning ever brighter for the past 5 years. I was on a mission to start my Pilates training and, frankly speaking, it’s probably the best thing that I have ever done for my body and my soul. If you are thinking about getting certified to be a Pilates instructor then these answers will offer you a roadmap on your Pilates journey. Did you find these answers inspiring or helpful? 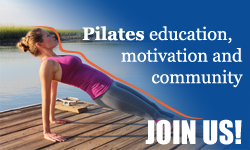 Please share this article with your Pilates friends and let our community grow! I wanted to thank every instructor and studio owner who shared advice for this article. Please check out their websites and sign up for a class if you find a studio in your area! Susannah Cotrone co-owns Cotrone Pilates in West Hollywood, CA with her husband Sam Cotrone. They were certified by Authentic Pilates in 2001, now known as Romana’s Pilates. Both Sam and Susannah share a passion for dance, and have danced professionally. The Cotrones are dedicated to teaching the method while keeping the work fun and lively. Alisa Wyatt is the creator of Pilatesology.com, the largest growing library of pure Pilates, true to the way Joseph Pilates taught. Marcia is also the author of Piper the Petite Pilates Princess – a Pilates-inspired fairy-tale for all ages. Melissa Kakavas is the Director of Pilates Education at EVOLVE Movement in Raleigh, NC as well as a faculty member of Balanced Body. Melissa is most rewarded when a student learns to overcome weaknesses, finds new strengths, and nurtures a strong sense of self through intelligent movement. Andrea Speir was classically certified through Power Pilates. She is known for teaching fun, energetic sessions with added elements of modern fitness and cardio to up the client’s results. She stars in the DVD “Perfect Pilates Body” (Appcession) which is also an iTunes Top 100 Fitness app and the DVD “Trim, Tighten and Tone” (The Pilates Fix). She co-founded The Pilates Fix, which is a company that promotes healthy living through physical fitness, nutrition and creating healthy addictions. Sean P. Gallagher teaches Authentic Pilates™ at The New York Pilates Studio ® and works with those interested in the quality of Joseph Pilates work by licensing The New York Pilates Studio ® and the Pilates Guild ® trademarks and the Sean Gallagher Pilates Archives around the world. Lindsay Lopez is the owner of FORM Pilates Union Square in the heart of NYC. FORM Pilates Union Square is a haven not only for clients to learn Pilates in, but also to break out teachers from their Pilates Prison. Lindsay’s wish is to provide her peers with the business training they so desperately need. As a positive coach and gutsy mentor, Lindsay Lopez is changing Pilates business for the better. Anabel Garver is currently the Pilates Specialist at COMO Shambhala Spa at Parrot Cay Resort in Turks and Caicos Islands. She is PhysicalMind Mat and Polestar Mat and Full Studio educated. She also is a Medical Exercise Specialist, Reiki Master and Personal Trainer. In addition to teaching she manufactures a line of Pilates footwear – The Shu Store. Andrea Maida teaches in her home studio in Solana Beach, CA as well as shares her Pilates “nerdiness” on her blog at Pilates Andrea. She offers private and semi-private Pilates lessons that encourage clients to learn and own all aspects of their workout. And she likes to have fun! Wow – I am in awe of your post. So well researched and laid out, not to mention relevent.